Chewy, soft, flavor packed, what else can you ask for in a brownie. This fudgy avocado brownie recipe wins on all points. It's also an easy recipe that's dairy and gluten free. Made with blanched almond meal flour and coconut oil, these brownies are really simple to make. They can be made with or without sugar. If you're following a ketogenic diet these are rich and flavorful without sweetener. Choose your cacao powder carefully. If you choose not to add sugar, the brownies can end up on the bitter side depending on the cacao you use. We added low glycemic maple syrup (GI 54) and a little bit of coconut sugar (also low on the glycemic index at 35) in the brownie batter and the icing (totally optional). 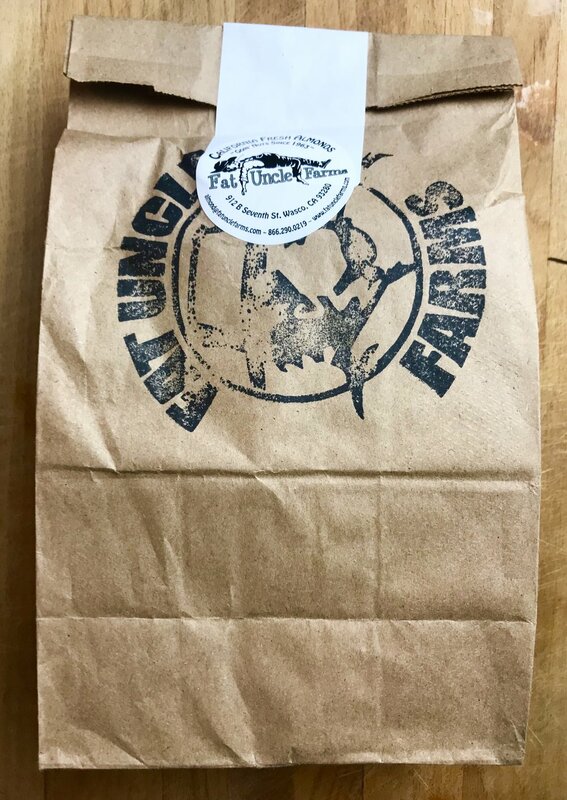 Fat Uncle Farms blanched almond meal flour - direct from the farm! 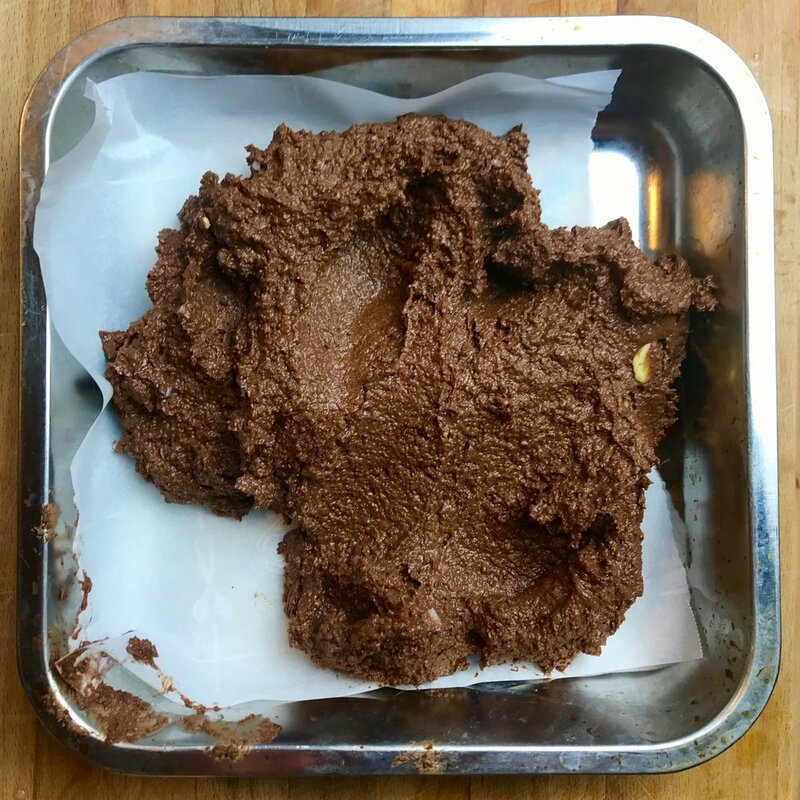 For this recipe, we used farm direct blanched almond meal flour from Fat Uncle Farms, a sustainable California almond farm that is in the Treatmo Marketplace. We were eager to try their flour. Their almonds are unsprayed, raw and unpasteurized. You can shop their flour in bulk for $9.00 a pound on Treatmo App. Beautiful almond flour from California. We were inspired to try this recipe after occasional content contributor to Treatmo, Lexi Borr, shared this recipe on our Food page. Besides the fresh almond flour, the ingredients that pushed up the flavor of this recipe included the cold pressed coconut oil from Kämen Foods and coconut butter (for the icing) from The Philosopher's Stone ground -- both organic products from local food makers. Batter up! We used parchment on the baking dish, but it's not needed. We didn't add any salt to this recipe and used vanilla paste instead of extract. From The Philosopher's Stoneground the chocolate drizzled on top is actually their chocolate almond spread, and it's quite possibly the best thing ever. The drizzle is a nice healthy addition free of additives and preservatives. Can't believe how good these are. Mix all ingredients except for the avocado together in a bowl. In a blender, blend your avocado until creamy and smooth. Then, mix the avocado into your batter with a spoon until thoroughly combined. Bake at 350˚ F for 12 to 20 minutes. You can tell it's done by inserting a toothpick and pulling out clean or when the sides begin to lighten in color and pull away from the baking dish. When the brownies are completely cool, spread on your icing! Enjoy! Let us know what you think in the comments, we love hearing from you. Shop premium pantry ingredients such as maple syrup, coconut butter, coconut oil and almond products from local businesses on Treatmo iOS App. No time to make brownies? Shop healthier brownies from the Treatmo App Marketplace.